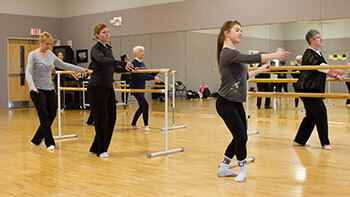 This is a class based on the practice of ballet barre exercise sequences. Muscle strength, endurance and balance are challenged and developed. No previous ballet knowledge is needed.